Unique structure: When you think it is a magnetic box, actually, it is a two layer structure box. 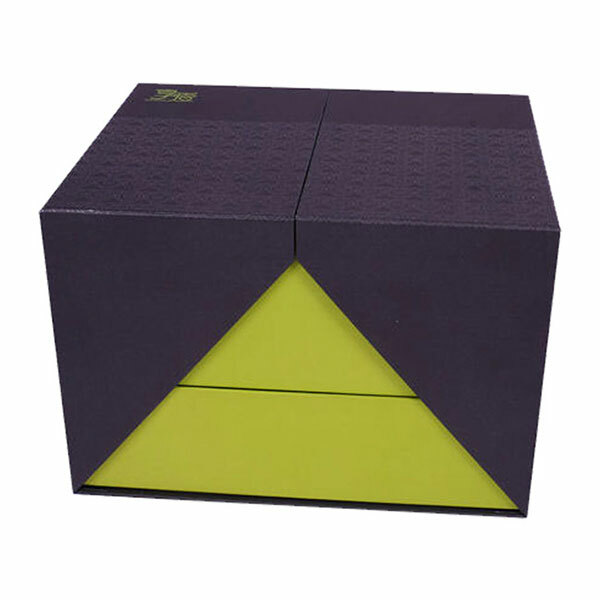 The bottom layer contains a base box with two pieces of triangle closure as an outer hard shell. The second layer is a same base part as the bottom, it it placed on the top but closed witht the shell. 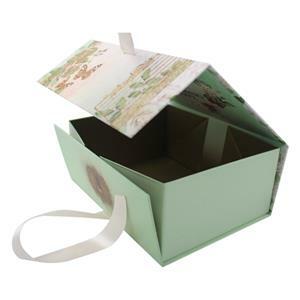 Maybe you can think it as a mess tin, one layer for dishes, one layer for rices. 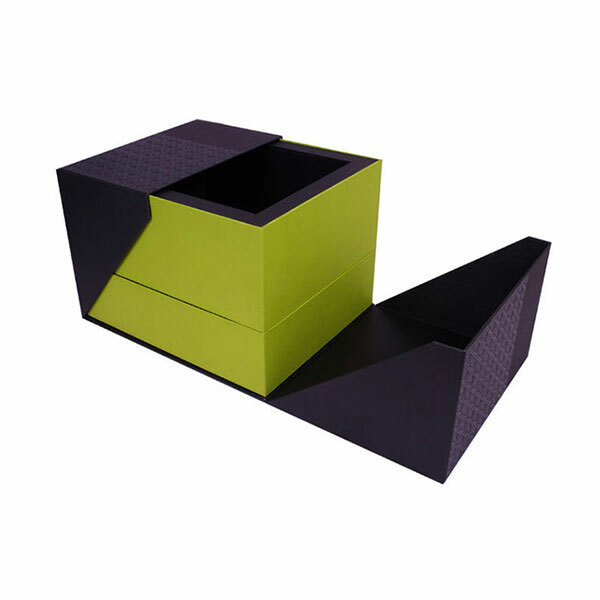 Flexible insert: The insert can be paper material, foam material or plastic material as you like. 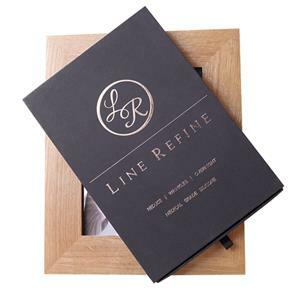 They all can be cut into different shapes to hold different products inside, it is very flexible. 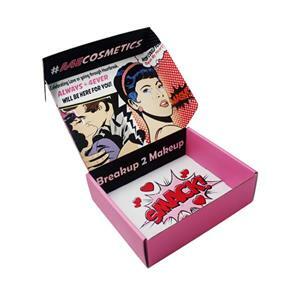 Usage: For such kind of paper rigid box, it is good for skincare sets packaging or cosmetic packaging for its large volum.Or maybe for tea packaging. 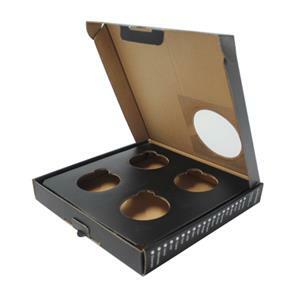 What are the common used insert for cometic packaging? 1.Sponge inner support: It is a plastic product produced by the combination of polyurethane and TDI or MDI. According to the size of the inner bubble, various densities can be realized, which can be made by molding as needed. A variety of shapes, a large number of applications in all walks of life, mainly used for shock, insulation, material filling, children's toys. 2.Blister inner tube: plastic plastic sheet is made into plastic with specific groove by blister process, and the product is placed in the groove to protect and beautify the product. 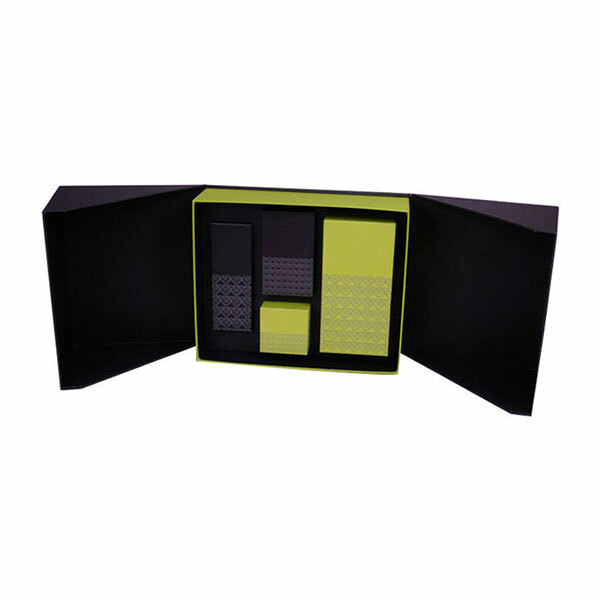 There are also transport type tray packaging, and the tray is used more. It is based on convenience. 3.EVA inner support: It is a high-density lining material with high hardness and good cushioning performance, so the price is relatively high. Generally, there are two kinds of black and white, if you need other colors, you need to order. 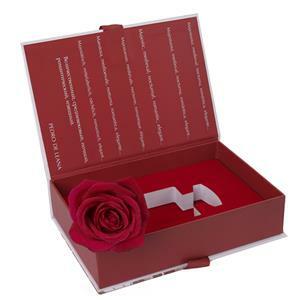 4.The paper inner tray is divided into a cardboard inner tray and a corrugated paper inner tray. 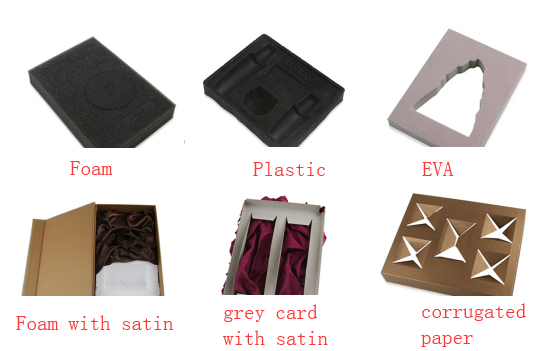 The material of the cardboard paper tray may be white cardboard paper, gold card paper or silver cardboard paper, and the commonly used paper is generally a white cardboard inner tray or a corrugated paper inner tray.